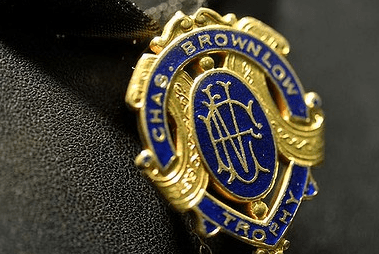 Bruce McAvaney hosts the Brownlow Medal count once again next Monday, screening Live on Seven / 7mate. It will be preceded by an expanded Red Carpet special co-hosted by Hamish McLachlan and Rebecca Maddern, joined by former Miss Australia Rachael Finch and Bulldogs star Daniel Giansiracusa. This means X Factor‘s Monday night elimination episode will air 7:30pm Tuesday, and The Amazing Race Aus v NZ airs Thursday. · The presentation of the official AFL mark and goal of the year. · The presentation of the Jim Stynes Community Leadership award commemorating his vast contribution and legacy to the game and the community. · A tribute to all of the AFL retiring champions, as well as a special tribute from one of the game’s greats. · Mick Molloy looking back at the funniest moments of the year. · Highlights of all the spectacular action from each round throughout the 2014 AFL premiership season. How sad will Perth viewers miss out TT!